The first step is to determine the host species that was used to generate the primary antibody. Then, select a secondary antibody specific for detection of the primary antibody species. For example, when using a polyclonal antibody produced by rabbit you will select an anti-rabbit secondary antibody that was raised in an alternative host species such as mouse, goat or donkey. Most primary antibodies are produced in commonly used host species such as rabbit, mouse, goat or chicken. Therefore, anti-mouse, anti-rabbit, anti-goat or anti-chicken polyclonal secondary antibodies are often used for detection. Remember, the species used to generate the secondary antibody should be always different from the host species of the primary antibody. Once the source host has been selected, identifying the optimal secondary antibody requires knowledge of the detection assay. For commonly used techniques such as Western blot and ELISA, an enzyme conjugated secondary antibody is most likely the best choice. Good examples are Peroxidase or Alkaline phosphatase. In the case of immunoassays such as immunofluorescence microscopy or flow cytometry (sometimes incorrectly called FACS) it is more typical to use a secondary antibody conjugated to a fluorochrome (i.e. FITC, DyLight™ or Cy™ dye). For immunoprecipitation experiments a special reagent that does not detect the precipitating antibody is essential for publication quality images. Rockland’s TrueBlot® products are useful for the accurate detection of secondary antibodies used for immunoprecipitation followed by western blot. Pre-adsorption (also cross-adsorption) of the secondary antibody is used to eliminate reactivity from immunoglobulins of undesired species, antibody fragments and/or cell and tissue samples, improving the specificity of an antibody. The degree of cross reactivity is determined by ELISA or Western Blot detection and is typically less than 1% of the desired signal. The secondary antibody is cross adsorbed against serum antibody protein from another species or is adsorbed against a mixture of serum antibody protein from several species (i.e., Pre-adsorbed). These highly cross-adsorbed antibodies show low levels of cross reactivity particularly required in multiple labeling experiments. Primary polyclonal antibodies are generated in rabbit, goat, donkey, or chicken and are usually gamma chain immunoglobulins (IgG isotype). Therefore, the secondary antibody should be an anti-IgG antibody that recognizes both heavy and light chain of the primary antibody (anti-IgG H&L). Primary monoclonal antibodies are normally raised in mouse, rat and Armenian hamster but even rabbit and human derived are also used. Because monoclonal IgG antibodies are subclass specific, it is very important you use the secondary antibody directed against that specific subclass. Despite the notion that any anti-mouse IgG should recognize any of the IgG subclasses, recent studies have shown potential bias toward specific subclasses, making the use of anti-mouse IgG subclass-specific essential for “robust and reliable multiplex labeling of target proteins in a variety of applications”. See Manning et al. (2012) for an in depth review of the subject. When the sub-class of your primary antibody is unknown, you can use anti-IgG F(ab) or consider performing an isotyping assay. 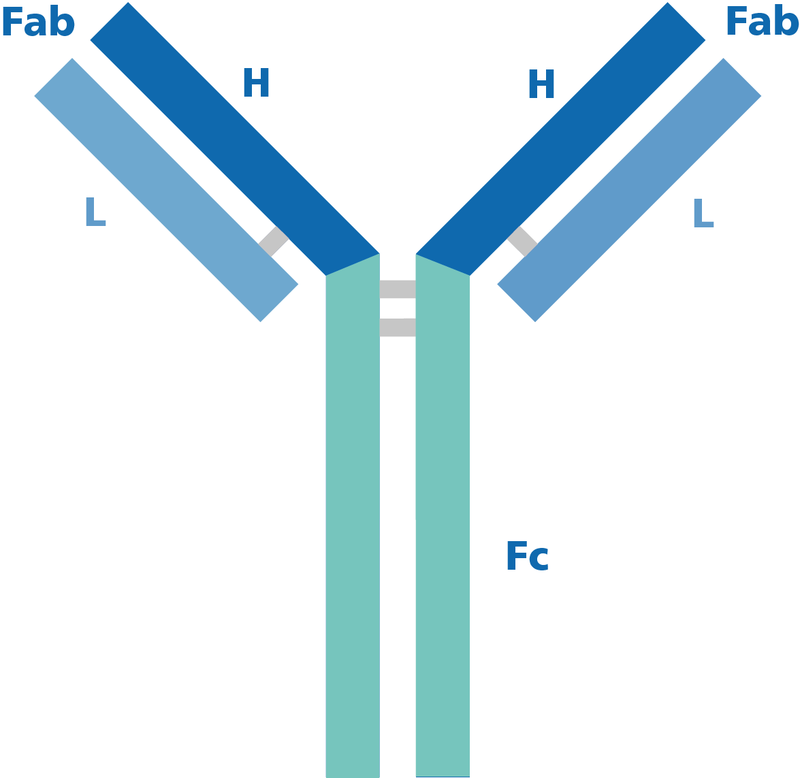 F(ab')2 fragment secondary antibodies are generated by pepsin digestion of whole IgG antibodies to remove most of the Fc region while leaving the hinge region intact. The resulting fragment is divalent with MW ~110 kDa. Fab fragment secondary antibodies are generated by papain digestion of whole IgG antibodies to remove the Fc region entirely generating a monovalent antibody of ~50 kDa. Both F(ab')2 and Fab fragment antibodies eliminate non-specific binding to the Fc receptors on cells and penetrate tissues more efficiently due to their smaller size. When working with tissues or cells that have Fc receptors (spleen, peripheral blood, hematopoietic cells, leukocytes, NK cells etc. ), choose a F(ab')2 and Fab to eliminate non-specific binding to Fc receptors. Fragment conjugated secondary antibodies are ideal for Flow Cytometry, Immunohistochemistry and Immunofluorescence. Affinity purified antibodies are isolated by separating monospecific antibodies from other antiserum proteins and non-specific immunoglobulins by solid phase affinity chromatography. Advantages of using an affinity purified antibody include increased specificity, low background, greater sensitivity and lot-to-lot consistency. Affinity purification reduces variation from one product to another, leading to more reproducible immunoassays. IgG fraction antibodies on the other hand are very robust and are prepared by a combination of salt fractionation and chromatographic methods with purity and specificity evaluated by different methods. The main benefit of using an IgG fraction is the presence of extremely high affinity antibodies that may result in a more potent secondary antibody reagent. This may or may not be the cause for affinity purified antibodies which usually exhibit improved specificity sometimes at the expense of affinity. Low abundance proteins or weakly detected primary antibodies detected using an affinity purified secondary antibody may be better recognized using an IgG fraction secondary antibody. Assays where high background or non-specific binding from the secondary antibody are apparent may be optimized using an affinity purified secondary. 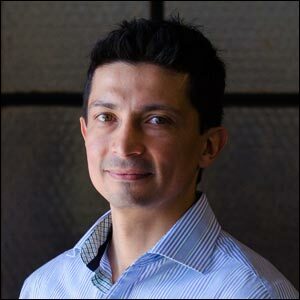 Camilo Moncada, Ph.D. is a senior scientist and Director of QC at Rockland Immunochemicals, a leading company in antibody development. Dr. Moncada began his research studies more than 10 years ago and because of his active participation in a number of projects, he has joint publications in different subjects including immunology, parasitology, cancer and lung disease. At Rockland, he applies his expertise on molecular and cellular biology, biochemistry and proteomics for antibody development and validation.